Editors note: This article is re printed with the kind permission of the author, one of the foremost experts on Lithium production in the world today! The lithium market has two major segments - one for mineral concentrates with a low enough iron content to be suitable for direct use in glasses, glass ceramics, ceramics, enamels and glazes. The second is for chemicals, metals and metal derivatives. Talison Lithium site, Greenbushes Australia The former market is dominated by Talison Minerals (Now Talison Lithium) with its large scale production of spodumene concentrates in Western Australia with much lower tonnages produced in Zimbabwe (petalite) and Portugal (lepidolite). Tanco in Canada was a former supplier to the market. Talison is currently ex-panding capacity from 260,000 tpa to 480,000 tpa of a variety of grades but a high percentage of current and future production will be as feedstock for chemical production. Current chemical production capacity approximates to 130,000 tonnes of lithium carbonate equivalents (LCE’s) - equivalent to approximately 24,500 tonnes of Li. Chemical demand in 2008 was 91,500 tonnes of LCE”s. It dropped to 70,000 tonnes in 2009 as a result of the recession and one of the major producers estimates that in 2010 demand will approximate to 94,000 tonnes therefore indicating a current excess capacity of about 35,000 tonnes. 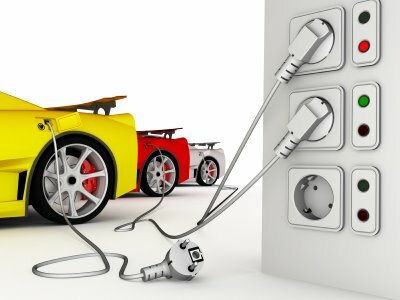 In anticipation of a major increase in demand based mainly on the large scale electrification of motor vehicles there has been a rush to develop new sources of supply from continental brines, pegmatites, a geothermal brine, hectorite clay and the unique mineral jadarite found in Serbia. Future demand estimates are numerous and vary greatly mainly because of the difficulty of estimating the demand for batteries in vehicles. Variables include the rate of penetration, the nature of the vehicles - whether hybrids, plug-ins or fully electric and the battery chemistries. The most recent estimate was presented at a conference in Seoul in September 2010 by Dr. Duesterhoeft of the General Motors Strategic Planning Group. As with most other estimates she presented two scenarios called respectively “battery sceptical” and the “uber green” . By 2020 she estimated electric car sales as either 7.5 million or 20.0 million which by 2070 grows to either 50.0 million or 170.0 million. Translating these figures into LCE requirements for 2020, 2050 and 2070 she estimates demand at between 15,000 and 35,000 tonnes, 150,000 and 400,000 tonnes and 250,000 and 750,000 tonnes respectively. Adding to demand will be the growth in conventional applications probably increasing at between 7% and 10% annually and the potential demand for non-vehicular large batteries for grid storage particularly for intermittent generating systems such as wind and solar. Project developers have announced target tonnages at the salares of Olaroz, Rincon and Cauchari in Argentina, Tibet, China, at the Salton Sea KGRA in California, at two pegmatites (Mt. Catlin and Mt. Marion) in W. Australia, at Western Lithium’s large pegmatite in Quebec, at Western Lithium’s hectorite clay project on the Nevada/Oregon border and Rio Tinto’s jadarite deposit in Serbia. Together their initial tonnages would-be producers say will total 228,000 tpa LCE’s. Other companies such as Lithium One are expected to make announcements in the near future to add to the total. In addition to the potential new sources of supply Chemetall has announced a phased expansion from 38,000 tpa currently to approximately 65,000 tpa by 2020 based on current market estimates and FMC plans a 30% expansion to 23,000 tonnes. SQM has not, to my knowledge, announced anything more specific than its intention to maintain its market share. However, the volume of brine currently being pumped (grading 2,700 ppm Li) to allow the production of 1.5 million tpa of potash contains such a large volume of lithium in excess of its current production capacity of 40,000 tpa that 400,000 tpa of LCE’s are being reinjected into the aquifer. The potential for expansion using these highly concentrated brines is obviously very large. The tonnages of expanded production, excluding SQM and any major brine increases in China, plus new projects totals 264,000 tonnes - 170,000 tonnes greater than estimated demand in 2010. With so many projects racing to come on stream there could well be a major over-supply problem in the short term. Future demand estimates, although they vary greatly, are consistently huge calling for production levels that dwarf those that are current. Matching demand will require an appropriate tonnage of reserves. 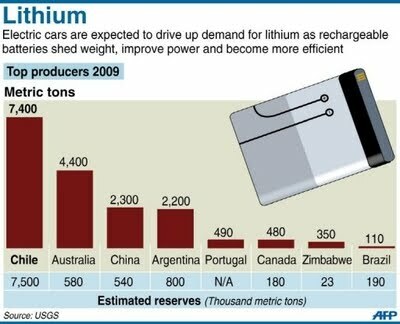 In 2006 and 2008 William Tahil of Meridian International Research, produced reports arguing against the development of lithium-ion batteries because of the inadequacy of reserves. In his reports he claimed that only continental brines could be considered as a source, that production in the Salar de Atacama was possibly illegal and many other comments that I described as alarmist and, in some respects ludicrous. More recently he has suggested that battery requirements per kWh of capacity are more than double what they really are (1.4 - 1.5 kg versus 0.6 kg) and that conversion of technical grade carbonate to battery grade involves losses of 70% (in actuality the price difference between the two products is between 5-10%). After Tahil’s first report I was approached by a number of very concerned battery manufacturers asking for a response. I have now written several reports. My estimates, as was the case in a National Research Council report published in the mid 1970’s, are essentially on inventory of known resources with published tonnages which by consideration of grade could be considered potentially viable in an environment of rapidly increasing demand. Higher costs may be involved but it is worth noting that in Li-ion batteries, projected to be much the largest future market, the cost of the lithium is only between one and three percent of the battery cost. In 1975 most of the tonnages were in respect of pegmatites and we made deductions to allow for mining and processing losses. However, only one major brine was included and not having a reasonable estimate of what recovery would be realised an in situ tonnage was included. Apart from the pegmatite tonnages in the 1975 report all other tonnages are in situ. Other authors developed similar estimates to mine which currently approximate to 34 million tonnes Li with 7.8 million tonnes Li at current operations and 7.2 million projects at fairly advanced stages of evaluation. Even the USGS which is very conservative in its estimates have now increased their resource estimate to 25.5 million tonnes. To put these figures in the context of vehicle demand each million tonnes of Li is sufficient for 395 million Chevrolet Volts or 250 million Nissan Leafs-the first two mass-market cars scheduled for launch in the United States. Some listed resources may never become economic reserves - but new occurrences will be discovered and existing occurrences will be enlarged. As lithium is not consumed in the batteries, recycling will be important. Probably, the most underestimated resource is the Salar de Uyuni in Bolivia covering an area of 10,000 km2 . Currently the resource tonnage is listed by the USGS, myself and others as 9 million tonnes Li. The grade is low, the magnesium content is high, the salar floods seasonally and the political environment is discouraging. However, the tonnage is for the uppermost and thin salt horizon whereas there are seven salt horizons all reputedly highly porous with an aggregate thickness of 170 meters and drilling has not reached the base of the salar at 230 metres. 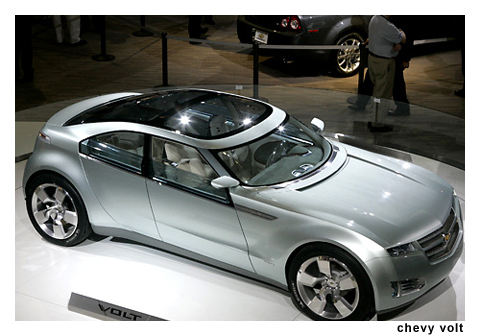 Many press articles have suggested that the future of the electric vehicle is dependent upon the develop-ment of the Salar de Uyuni. This is not the case but because of its size its development seems inevitable at some stage and possibly vital in an “ubar green” scenario. This is potentially the world’s largest source. Unfortunately, political dogma is dominating technological reality and the fate of the resource and its reliability as a long term source of supply is questionable. 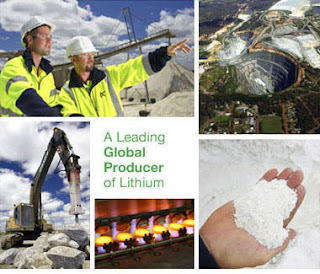 Keith Evans, a geologist by profession, started his career in lithium looking at the development options at Bikita Minerals in Southern Rhodesia (now Zimbabwe) which for decades was the dominant producer of high grade lithium minerals for the glass and ceramic industry. Subsequently, he joined Lithium Corporation of America (now FMC) and later moved to Amax and managed the Feasibility Study of the main portion of the Salar de Atacama in Chile. The claims were subsequently acquired by SQM and their operation is the worlds major source of lithium chemicals. He was a Keynote Speaker at the first two Lithium Supply and Marketing Conferences organised by Industrial Minerals Events. Our thanks to Mr. Evans for this informative article. Lithium producers prospering as price, and demand, increases globally. Posted by H. Pelham at 1:17 p.m.